options of single and multiple quads that can be patched together. 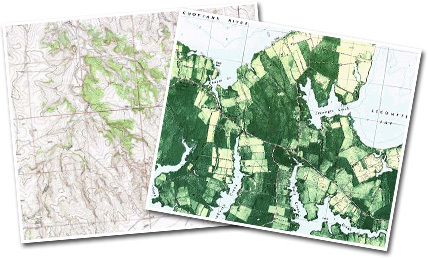 from the quality and accuracy that only comes from USGS Topographic Maps. 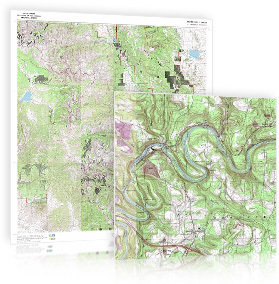 Use high quality and accurate USGS Topographic Maps to enjoy the convenience of a topographic view! Sizes raning from 2'x3' to 9'x12' and larger. mounted, magnetic, framed and more. Detailed Landscape Views of Any Terrain in the USA. County, borough and other boundaries. Great value for outdoor enthusiasts. 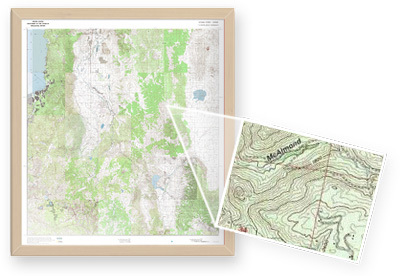 Customize your maps with photos, symbols and text.